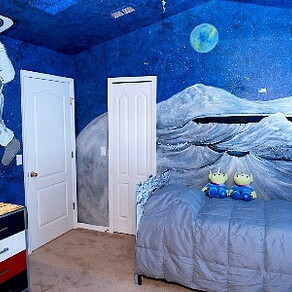 This is a fun and easy craft for your child to do. It's perfect for a Halloween costume or a fairy princess themed party. Draw a star on a piece of cardboard. 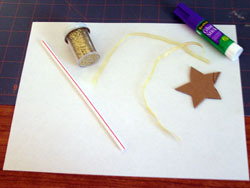 Cut out the star or let your child cut out the star with a pair of safety scissors. Have your child use a glue stick to cover the star in glue. 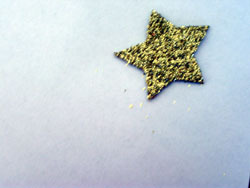 Let him sprinkle the star with glitter. Then set aside to dry. Cut the ribbon the same length as the straw. Once the star is dry arrange everything for stapling. Place the ribbon behind the star. Then place the straw behind the ribbon. 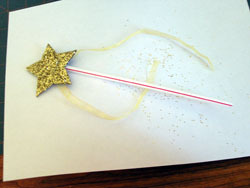 Staple the star and ribbon to the straw. You now have a Magic Wand. Enjoy!